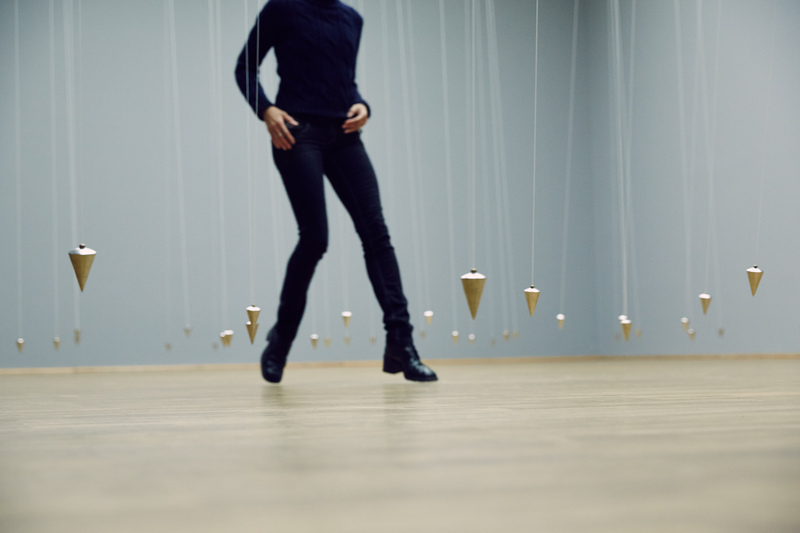 In this third version of the work each of the pendulums can be separately controlled. The interactive installation consists of sixty plumbs hanging on strings and moving in the space of the room. 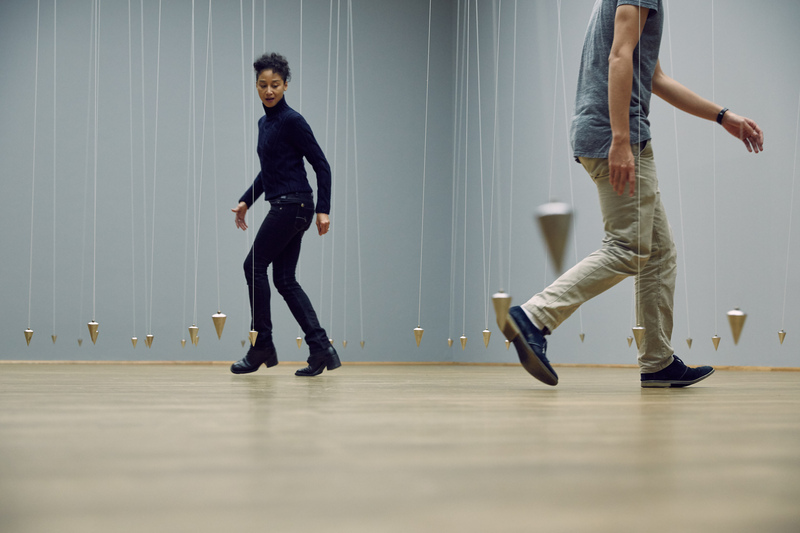 Choreographed by Forsythe, the movement of the weights is programmed in such a way as to produce a kinetic and acoustic counterpoint that divides the room into many unpredictable, changing parts. 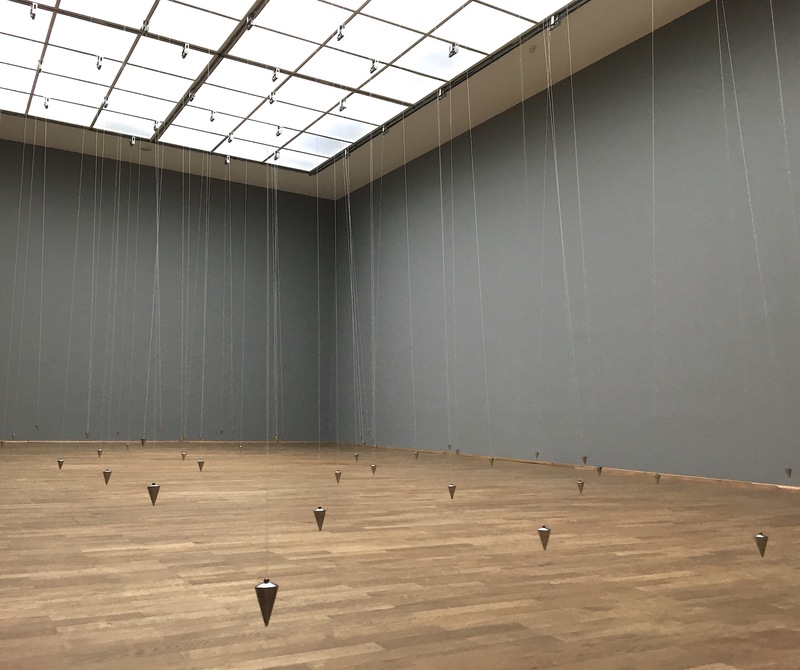 Filled with unpredictable complexity, the space addresses the state of the visitors’ perceptions and reflexes and leads them into a light and surprising choreography of perpetual avoidance.